Anyone else disappointed in how extremely high ticket prices are? I opted for the $118 tickets at a higher level since VIP tickets (for 2) would have been well over $500. Considering that Citibank is a sponsor and underwriter of this tour, I feel that the price structure for tickets was unwarranted. The price of $250 (plus fees) for the VIP package (first ten rows) is a serious exercise in hypocrisy for an artist who presents his image as a down-to-earth common man. I can afford to pay these prices, but will not. 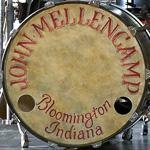 It is a matter of principle, something that apparently Mr Mellencamp and his management no longer possess. What a shame to see another talented (and wealthy) artist knuckle under to the corporate fist. This tour, nor John, is sponsored by Citi. Citi partners with tours and promoters to offer presales for their cardholders. There are a tiny number of tickets in the front 10 rows in our packages, the majority of the seats in those rows are onsale for the lower top tier price. I live in Pullman, WA and attend a lot of concerts in the Spokane and Seattle area. My fiancé' and I found these ticket prices to be very reasonable. Many other shows that we have attended have been more expensive and did not come with the benefits included in the diamond package. I guess I was just shocked because the prices were so high for Mellencamp. I understand all the things added to the VIP package, but I have not seen a Mellencamp show have prices that high....I could be wrong also. In comparison, artists such as Bon Jovi and other top performers offer premium seats for more than a thousand bucks per ticket with no more perks than what the VIP JM tickets offer...so paying $250 for a premium ticket for a JM show is a steal. I have attended four JM shows in the past few years, always purchasing the VIP seats to help ensure I get an incredible seat and the 2015 price of $249 + fees per ticket is exactly what I have paid for previous shows so no price hike this go around. Price for this tour, including the VIP package, are identical to the 2010 tour. Prices are higher from the get go because this is a theater tour. If it was in bigger buildings the prices would be some lower. Got 3 tickets For Nokia in L.A ..left side on the floor towards the back. $106.79 a piece. About average for a concert. its ok folks. next year john is coming to a town in my neck of the woods. tickets are high. location real bad as there is limited seating and hardly any parking area. i wont mention what city it is, but talk about what is wrong with his brain cells. hes always talking small town & how he's from the heartland/midwest which is a bunch of bull. try nebraska oklahoma colorado thats the midwest thats the heartland thats right in the middle of america. he isnt no more midwestern than im eastern. as far as small town, i come from a town of 1100 people. john you dont know what the heck you are talking about. and thanks a lot for the pickins in the city close to my small town for your concert. i still like some of your music, but i am getting more and more less of a fan. i wouldnt waste my hard earned money to see you, you dont deserve it. Face value of my tickets for the DAR Washington DC shows are $129.50. The fees pushed the price up over $150. I went for a higher priced ticket because of the shape of the venue. I go to a lot of shows because I love experiencing live music. I don't mind the price but I would have preferred to see this show at the Warner Theater simply because the sound is better. My bigger hope is that John does a scaled down tour and plays the 500 seat Birchmere in Alexandria. I've seen Lyle Lovett there a few times and he seems to make money playing a couple nights in an honest to God "listening room". Now that would be a show. Other than the dream of an intimate showcase I'm not complaining too much about the price of these tickets. Compared to the price of a ticket for a professional hockey game or NFL event these seats are a good value. Well, that's just the world we live in. I think I paid $100 plus ticket for a VIP pass for the Black Crowes in Boulder Co back in 13. Meet the whole band. I would pay $150 if I got to Meet John, Personally before the show. If you don't get to meet him then I wonder about the value, because other than great seat's. It's all cheap Merc. I think I have paid close to $200, to be down front for an artist. 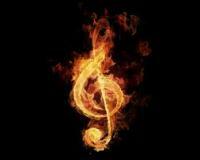 It all depends on how much of an experience in the Music you want. It's very cool to be right down in the action, for a show by a favored artist. It all depends on how much that type of experience, is worth to you.